A fun panda gift pack. A panda factbook with lots of interesting information. 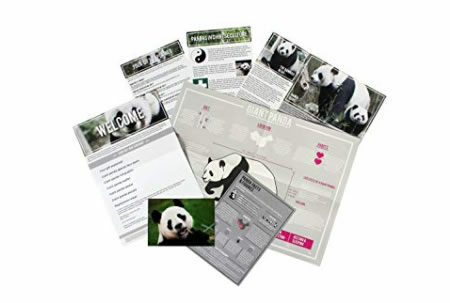 A personalised adoption certificate to frame your commitment to the Giant Panda. Giant panda poster – plus lots more! Giant pandas are gentle animals who are happy to spend time on their own and just love to eat! They use their highly developed sense of smell to avoid other pandas, and also to find mates in the spring. They love to climb trees and are surprisingly really strong swimmers. They spend much of their time eating bamboo and sleeping. There are only 1,600 giant panda’s left in the world today. 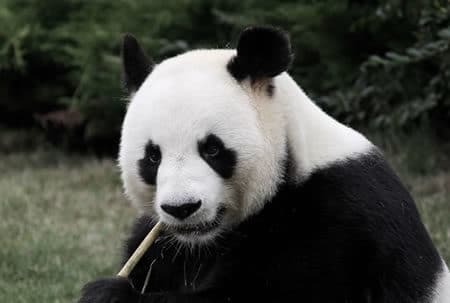 Panda’s absolutely love to eat, and mange to consume up to 15% of their bodyweight for up to 12 hours a day! Pandas are really shy and don’t like to venture into areas where people live. Pandas can live to become up to 30 years old, and can begin to have cubs at 6 years old. Giant pandas can weigh up to 300 pounds, we’re not surprised if they eat for up to 12 hours a day! Even though they don’t move around a lot, giant panda’s are great climbers and keen swimmers! Please adopt me today and help to halt the decline in my brothers and sisters across the globe. There are only 1,600 of us left in the wild now due to illegal logging and poaching, and many of us now live in the mountains, separated from one another.